Brandon Eisenman is a Senior Managing Director at RKF. He specializes in landlord and tenant representation, as well as investment sales. Throughout his career, Brandon has successfully helped numerous landlords achieve their goals by securing the highest quality retail tenant at the most favorable economic terms. He has represented such prestigious owners as SJP Properties, Solow Building Company, Extell Development Company, Glenwood Management, Goldman Properties, M West Holdings and Croman Real Estate. His ownership representation work includes securing leases with fashion designers Rogan and Billy Reid at the former Bouwerie Lane Theatre Building, transforming Manhattan’s NoHo neighborhood into a highly desirable retail destination; Completely Bare at 25 Bond Street; 33 Bond Street Gallery at 33 Bond Street; and most recently, Intermix at 332 Bowery. Brandon recently arranged three deals on behalf of Solow Building Company in the Plaza District, which included the Mackenzie-Child’s flagship retail store at 20 West 57th Street. Brandon also works with national, regional and local tenants. He recently completed two deals on behalf of CVS Health to secure flagship locations in the Ladies Mile District at 636 Sixth Avenue and 5 Penn Plaza. In addition, he served as the exclusive retail representative for Blue Bottle Coffee Company, for whom he secured two locations in Manhattan at Rockefeller Center and in the Meatpacking District. Brandon was previously the exclusive representative for Pinkberry and helped secure 15 locations in New York City for its initial entry into the market. His other notable achievements include the flagship retail location for bebe at 1 West 34th Street, Partners & Spade at 40 Great Jones Street and The 13th Step at 149 Second Avenue. Brandon has completed a wide range of investment sales transactions, including retail condominiums, multi-family apartment buildings and development sites. Among the transactions in which he successfully represented the seller, buyer or both are 750 Eighth Avenue, 41 and 43 Bond Street, and 206 East 83rd Street. Recently, he was involved in the sale of 102 Greene Street in the highly sought-after SoHo trade area, which marked the second time in two years that he was involved in the sale of this asset. 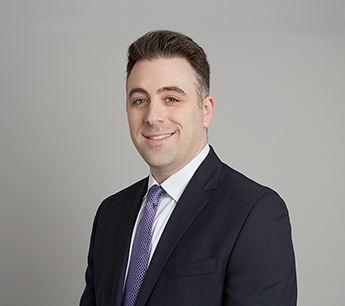 Prior to joining RKF, Brandon was a Sales Assistant with Brown Harris Stevens Residential Sales, where he was a member of the team that sold the most townhouses and small buildings for the firm in 2004 and 2005. Previously, he was a Research Analyst with CoStar Group. His past retail experience of note includes working with Douglas Development to bring the first H&M to the former Woodward & Lothrop Building in Washington, DC. Brandon earned a Bachelor of Science Degree from the Robert H. Smith School of Business at the University of Maryland. He is a licensed Real Estate Salesperson in the state of New York.